SCADACore can empower you and your clients with the Internet of Things. 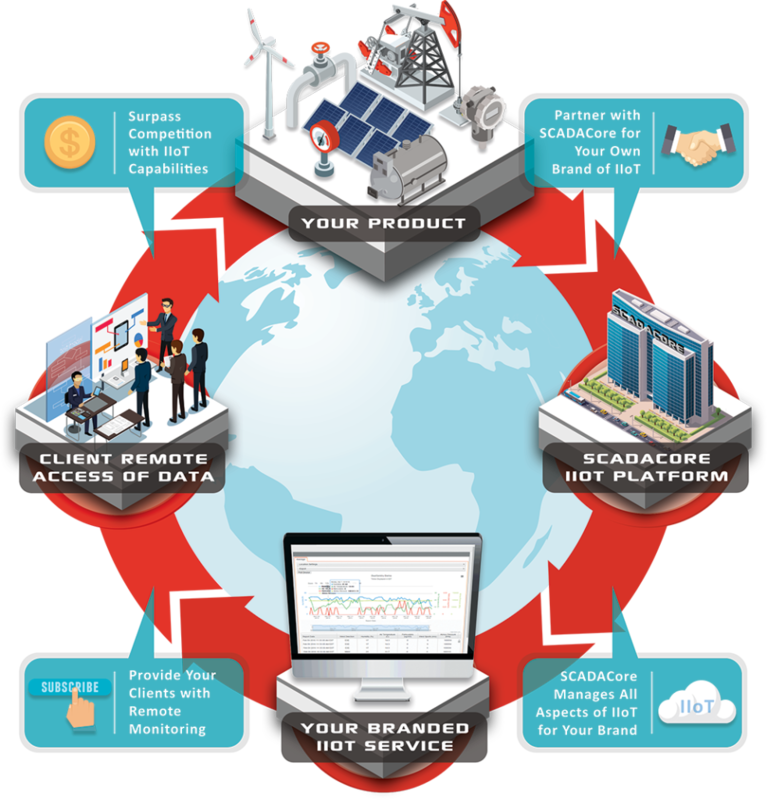 SCADACore Live Industrial Internet of Things (IIoT) Platform provides you with your own brand of IIoT service that you can offer to your clients. We integrate with your products and services — There is no upfront costs, and no changes to your existing products. SCADACore interfaces with your solutions and manages all aspects of the IIoT service, letting you focus on your own business objectives. Make your devices IIoT-capable with a trusted, secure cloud service, and the flexibility and scalability to commercialize your solutions with enterprise remote monitoring. 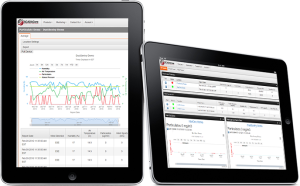 SCADACore Live IIoT / SCADA Cloud Hosting provides web-based IIoT functionality, letting you access your data, trends, and reports anywhere. 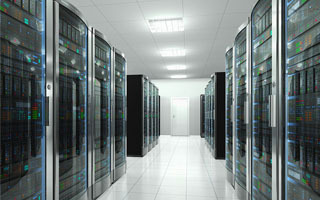 With secure, redundant servers, and secure remote login, we take care of all the IIoT details for you, so you can focus on your own business objectives. 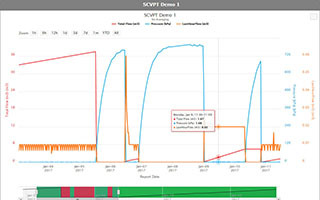 The SCADACore’s IIoT Platform collects remote field data and plots the data points onto our advanced charting system to show secondly reports, hourly reports, daily reports, and more. 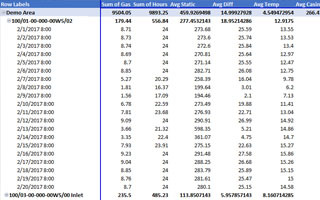 Our charting system, while feature-rich, is also easy-to-use, allowing clients to review and analyze data. 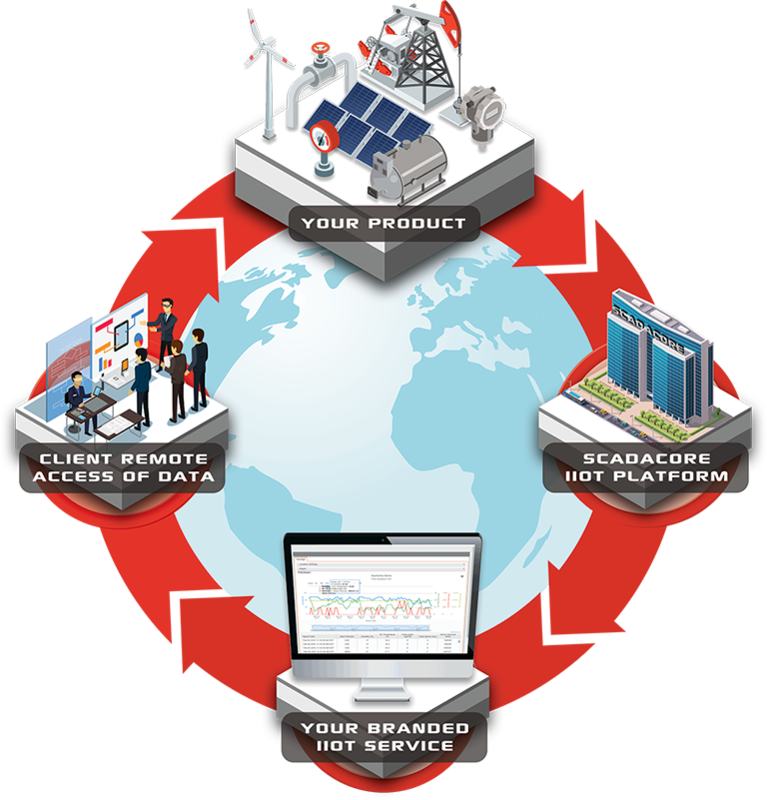 Our IIoT Platform provides you and your clients with real-time alarm callout system. 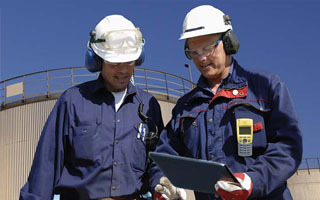 Our IIoT alarm callout system can be configured to match any alarming conditions and send callouts to operators via Voice, SMS, and/or Email messages to indicate an alarm has been reached at a remote location. The Export Engine on our IIoT Platform provides our clients and partners with highly-configurable engine that can export data to conform to any data formats. Our engine can integrate with any third-party systems, with wide-array of supported data formats including CSV, Excel, Pivot Table, PDF, and more.